Finally, and most debatably, despite the importance of individuals and the masses in bringing about the collapse of the Soviet Union, its internal problems, namely the failing economy, leads many scholars such as Thomas and Zubok to argue that it would have collapsed inevitably anyway, though they accept that it might have taken another decade or longer to do so. Zubok identifies that the internal struggles of the USSR began very early in the Cold War and particularly in the 1960s with the space race and increase in the popularity and diversity of television and media. Unwilling to be outdone by the US the USSR was forced to spend more money on promoting science and technology and from 1928 to 1960 the number of college students in Russia grew twelve fold. Unfortunately for the Soviet Union their socialist state did not account for more prosperous jobs and they became weighed down in spending to compete with the more financially stable US. Apart from the economic effect, promoting advanced education and a greater diversity in media also led to more liberal thought among students within the USSR, one of whom was Mikhail Gorbachev. Such thought was naturally dangerous and many intellectuals had been purged during Stalin’s reign for fear of their undermining and challenging him. Stalin is known to have been borderline paranoid and psychotic but ultimately if the Soviet Union had not allowed the flourishing of young minds and ideals then it might not have created its destroyer, Gorbachev, and could have saved itself financially too. Indeed Gorbachev’s love of the theatrical and liberal ideals during his education was well known and set an ominous precedent for the rigid socialist state that he would go on to lead. As mentioned in the paper’s introduction, the USSR effectively held the seeds of destruction in its own existence because it was in reality a totalitarian empire yet was competing with a more luxurious ideal of democracy and freedom. This is not to argue for communism or capitalism as concepts but to state that for many within the Soviet sphere of influence the West was far more desirable. The Red Army was frequently therefore called to crush resulting uprisings throughout the 1950s, 60s and 70s but ultimately totalitarian military or oppressive regimes are just not sustainable. As Benda notes, it was possible once to intimidate a group of people through persecution of their leaders but in the 20th Century when the entirety of Eastern Europe was suffering that was no longer a sufficient deterrent. Ultimately despite all its economic struggles it was ideology that crippled the Soviet Union internally as its military might could not compete with the flaws in its system and when Gorbachev changed tact as someone would eventually have had to it saw the ruin of the USSR. In lights of the arguments expressed, it is clear that a number of factors contributed to the collapse of the Soviet Union and all hold great importance. 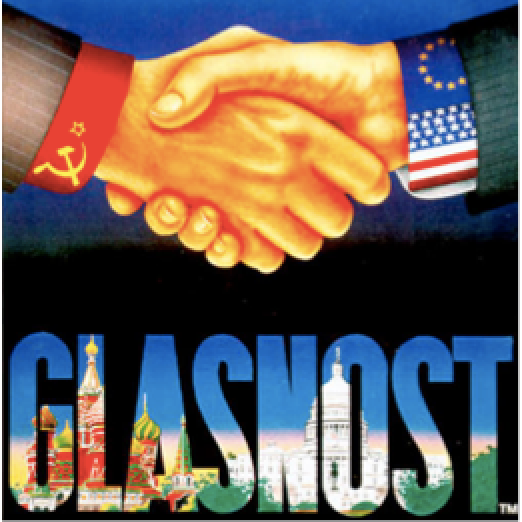 That being said, Mikhail Gorbachev’s liberal stance and policies of Perestroika and Glasnost must be held most responsible for the collapse of the USSR. The Soviet State’s competition with the US made Gorbachev’s education and ideological growth possible but he was the individual that seized it and made dramatic changes. Furthermore, his policies in turn made it possible for the ambitious individuals in the Eastern Bloc to flourish with the rebellions of 1989 and the resultant collapse of the Soviet Union in 1991. Though he did not intend to do so, Gorbachev allowed his studies and ideals which he implemented to in fact destroy the very thing he was trying to save, at which point the nobel peace prize was probably of little comfort.